Do you have an idea for low-cost furniture, with a simple, modern look full of character, custom built-to-order and shipped to your door? 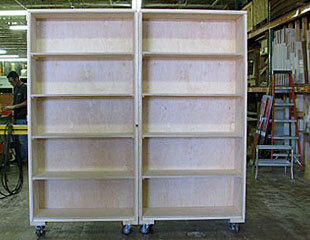 Then let your imagination run wild, and send us your wooden crate furniture specifications. 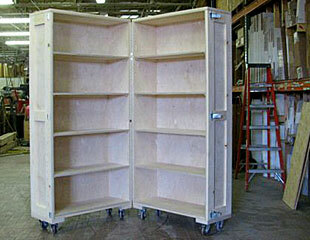 We will engineer and build your custom crate furniture that is not only functional, but sturdy too. 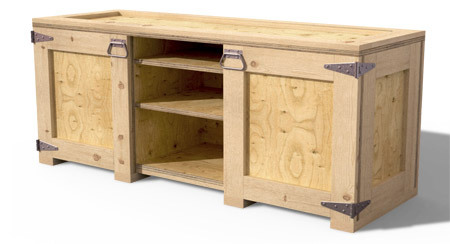 Our wooden crate furniture can be used for any part of your household, from garage storage cabinets, to wardrobes, nightstands, credenzas and entertainment centers! Ideal for college students, bohemian and minimalist lifestyles, garage and shop furniture, or a simple modern look that is very unique! 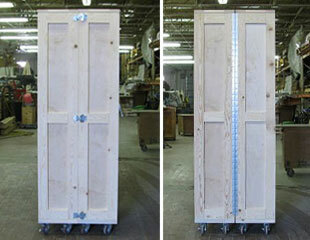 Go with the unfinished look, or custom paint and finish your crate furniture to suit your own unique style. 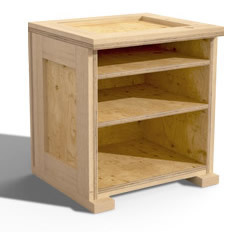 Select from any number of pre-engineered furniture items as shown or fax us your drawings, and we will build your crate furniture complete with hardware, including hinges, drawers, casters, handles, hasps and locking mechanisms. 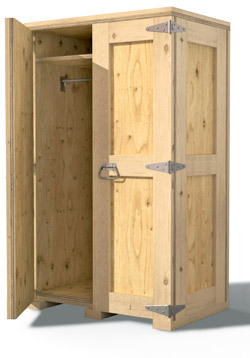 Your wooden crate furniture can be made from standard grade crating lumber or you may upgrade to hardwood, in unfinished or finished surfaces. 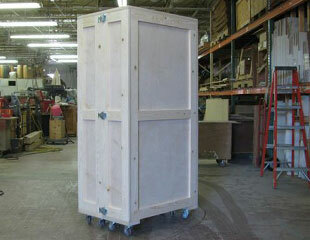 Contact us for a crate furniture quote today!